In the affluent town of Weslyn, Connecticut, where most people worry about what to be seen in and who to be seen with, Emma Thomas would rather not be seen at all. She’s more concerned with feigning perfection - pulling down her sleeves to conceal the bruises, not wanting anyone to know how far from perfect her life truly is. Without expecting it, she finds love. It challenges her to recognize her own worth - at the risk of revealing the terrible secret she’s desperate to hide. Life leaves you scarred. Love can make you beautiful. Sloane Munster had the perfect life - until she didn't. Now 17-year-old Sloane is trying to reboot her life after a serious accident left her badly scarred and emotionally traumatized. Starting her senior year at a different school, she recognizes Luke Naughton, a swimmer whom she once had a crush on, in her new class. But when she smiles at him, he glares back with revulsion, and she's sure he's disgusted by her ugly scar. No matter how hard she tries to keep out of his way, life keeps bringing them together, and despite misunderstandings and guilty secrets, the chemistry between them sparks. Meanwhile, tensions are mounting at their school, where bullying is rife, and Sloane is not the most deeply scarred person. 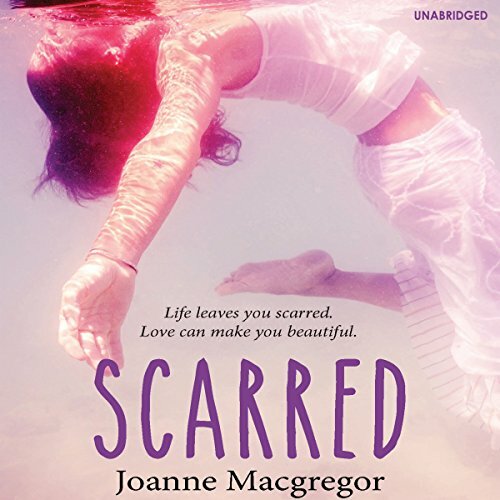 Sharp with bittersweet humor, Scarred is an intense, beautiful, compelling story of life, death, damage, and fighting for love against all the odds. 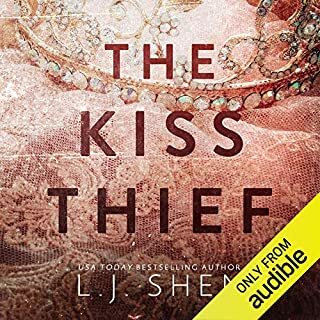 A great listen for fans of Sarah Dessen, Stephanie Perkins, and Abbi Glines. What did you love best about Scarred? I loved this book! Initially drawn by the beautiful cover and the title, then intrigued by the first chapter, where the reader is introduced to a scarred and self conscious protagonist, I read on until the dramatic climax. I loved the overarching theme of physical and emotional scars borne not just by the main character, but in one way or another, by many of the other characters in the story. It was rewarding to discover that ultimately Sloane does not allow herself to be defined by her scar(s). What was one of the most memorable moments of Scarred? 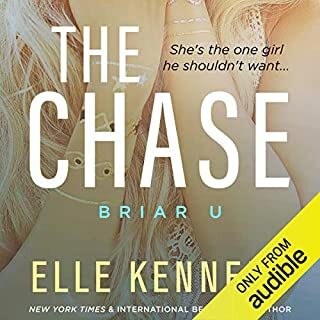 Intrigued by the scar, slashed across Sloane's face, which she is trying to cover with make up, the reader is impatient and curious to read beyond the first chapter to find out how she got it (and why it appears to be particularly 'repulsive' to classmate, Luke). When the backstory is eventually revealed in a climactic, memorable and pivotal chapter, the reader has clarity about the anguish and raw emotion and misunderstanding going on in the heads and hearts of the two main characters. It is romantic and rewarding when Sloane and Luke finally clear the air and move on to develop a sweet and touching relationship. I loved the scene where, on a day and time between heartache and misunderstandings, Luke takes Sloane to volunteer at the dog pound where they spend the day doing something so simple but worthwhile while getting to know each other. It is a day and a 'date' they both deserve, a lull between the events and knowledge that loom which could possible doom their relationship. 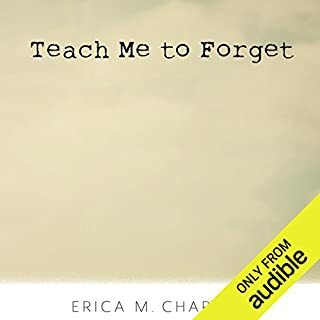 This story deals with some heavy and topical issues, resulting in many moving moments dealing with death of a family member, bullying, physical and emotional scars etc and how these affect relationships between friends, classmates, parents and children, and sweethearts. I was particularly moved when after a powerful truth-telling scene with Luke, Sloane's fleeting happiness comes crashing down. Alone and numb she says "I feel brittle, like if I move too suddenly I might shatter". Even though this story deals with some weighty issues (so much more since they are being faced by teens), the writing style does not feel weighty. Macgregor does a good job of keeping the story moving along with likable and/or believable characters, amusing situations which offset the tense moments and some very vivid imagery. The story flows in an easy and entertaining, yet very compelling way giving a sense that because of or in spite of the scars life can sometimes deal, it goes on. Teens still do and say and live as teens do inside of high school and out, and Macgregor provides some laugh-out-loud funny moments and dialogue, and a protagonist who has admirable doses of wit and sass. 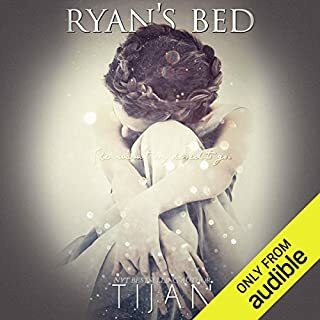 Kelsey Egan and Richard Lothian do a great job narrating this relevant and romantic read . I am an adult that enjoys the occasional YA story. This one had a predictable story line but was okay, UNTIL THE ENDING.. that last chapter had to be one of the stupidist I have ever encountered.. and I have read thousands of books.. Joanne Macgregor, you should be ashamed.. you are to good an author to have produced that last chapter...did you just get tired of writing the story and so ended it as easily as possible? 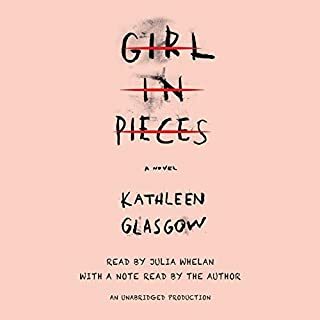 I was screaming out loud at the end.. "You have got to be kidding me.."
The first part (like 8 chapters) is her complaining about the scar on her face, then is about how she likes this boy who seems to be disgusted by her scar and then finally at the far middle they explain what happened to her face and how they both connect, the end has some action and I guess it was ok, but the main character is just so needy and keeps complaining about her scar and how she is not pretty anymore.